This article will make a comparison between PDF and Word, and then shows you how to convert PDF to Word. Both PDF files and Microsoft Word files can be used to display documents in a readable format. Both PDF and Word files can encapsulate various types of data including text, images, audio, and graphics. PDF files display the document exactly as it will look on the printer. PDF (Portable Document Format) is file extension proprietary to Adobe. Microsoft Word is a word processor designed by Microsoft. Microsoft Word’s native file formats are denoted either by a .doc or .docx file extension. 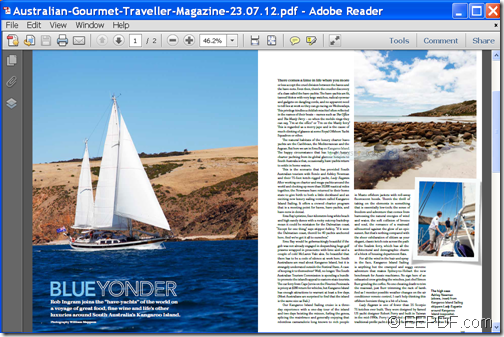 PDF files can be opened with Adobe Acrobat Reader and Foxit PDF Reader. 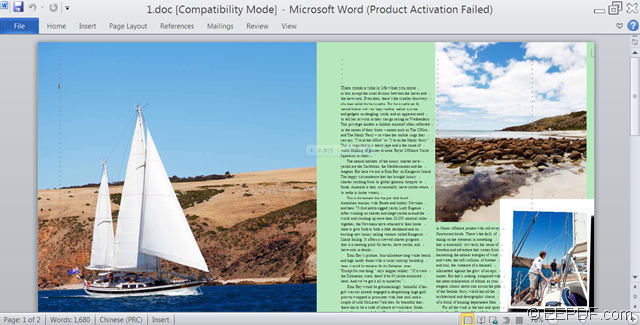 Word files can be viewed using the open-source OpenOffice.org suite, Microsoft Word, and the Microsoft Office Suite. PDF files can be used for presentation purposes and keeping the content intact, while Word documents used for preparing editable document, such as newsletter, contracts, agreements, pamphlets, etc. PDF is portable as it can be accessed on a platform with different configurations. It can be transferred across the platforms irrespective of the configuration of computer system of another user. PDF files are popularly used when documents that are pretty large in size are being used for transmission and retrieval. Although PDF have become quite popular for sharing documents and keep the original format so that documents aren’t changed, sometimes you may need to copy a paragraph, a page of PDF to Word so that you can edit it in a Microsoft Word document. One way is to select text in a PDF and copy & paste them to Word little by little. But, you will find the texts are seriously munged and the styles are lost. 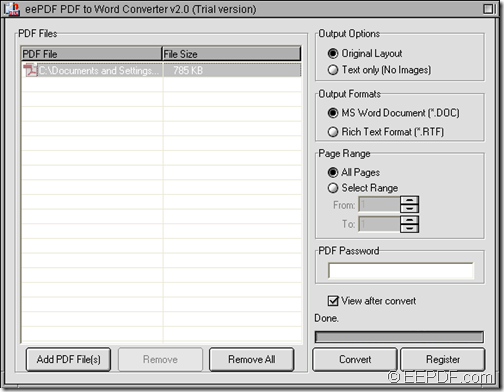 Another way out is to directly convert the PDF file to Word using a PDF to Word converter. Here, I would like to share EEPDF PDF to Word Converter with you. It can convert PDFs to editable Word documents, retaining formatting and images. If you need more than just the text, and want to make Word documents that look like your PDFs, you’ll need to go this route. In the following snapshots, you can see the original PDF and converted Word document. Note: The trial version can only convert the first two pages of the PDF to Word document. To eliminate these limitations, please buy the full version of EEPDF PDF to Word Converter! 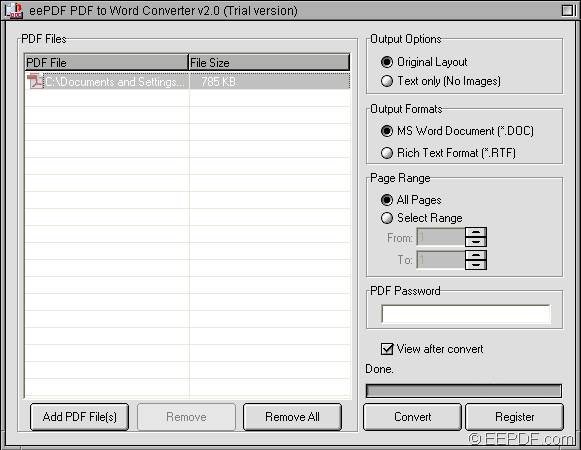 Download EEPDF PDF to Word Converter. Is there a method to convert encrypted PDF to Excel? How to convert PCL to PDF and change page orientation? How to convert scanned PDF to editable XLS? How can I convert PDF to TIFF? How to convert PCL to image in specific paper size? How to covert pcl to image? How to copy partial pdf to word effortlessly?